Locke puts the orientation film back together, and learns about the Incident that occurred back in 1977. Sawyer finally regains consciousness, and thinks they've been rescued when he wakes up inside the hatch. Michael's busy checking out the computer wiring, and notices someone on the computer trying to communicate. He responds, and discovers he's talking to Walt. Eko is on the beach with Claire and finds the Virgin Mary statue Charlie brought back with him from the Nigerian plane. While Locke is working the door to the armory, Michael gets a gun from Locke so that he can work on shooting it. Eko makes Charlie take him to the plane. While they are headed there, Eko comes face to face with the Smoke Monster, who scans Eko, then flys away. Michael takes over Kate's shift in the hatch so that he can talk to Walt some more. We cut to a mobisode, one of the better mobisodes, where we see Ben and the Others having a hard time dealing with Walt, even though they have him locked up in Room 23. There's no real indication when this mobisode occurs, but I thought I'd put it there since he was a focus of the show at the time. 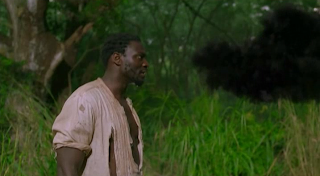 Eko finds the plane and sees his brother. Claire kicks Charlie out of her tent for lying to her about what was in the Virgin Mary statue. Michael goes to borrow another gun from Locke, and knocks him out, then tells Walt he's on his way to find him. Jack wakes up and sees Locke. Michael locks them both in the armory and leaves to find Walt. Kate and Sawyer head to the hatch and let them out. Locke, Jack and Sawyer take off to go after Michael. Michael stumbles upon the Others, who capture him and put a bag over his head. While they're out in the jungle, they capture Kate as well, who was trying to follow Locke, Jack and Sawyer. Locke and Jack argue about continuing on, but before they can go any further, Tom Friendly appears. The episode runs 58:55 and is 471MB to download. You can stream below (via Facebook), or go here to use torrents (better quality, recommended) to download the episodes to your computer. Why no split screen during the Michael struggle with Mr. Friendly and Jack & Co. hearing the gun shots? Those are my favorite features of this project. You know what, I must have just missed that one. Never put those two together, and so when I went through it it never even occurred to me. Good find. If I have time I may go back and try and fix it. Another split-screen that was missed was when Jack woke up and looked after Locke. Love the split-screens and look forward to more of them in the future! @Choekaas - If I recall correctly, I believe I did actually look into doing that, but I think there were some continuity errors that made it awkward. Specifically I remember Michael going to the computer after knocking out Locke, but when we see Jack wake up and head to the armory, there's no one at the computer. So, ultimately I ended up cutting it.